Free shipping to any destination in United States on orders from EUR 50 and up! Same-day shipping when ordering before 13:00 (CET + 1) on a normal working day! For VAT registered EU customers: Include your VAT number in the remarks field when you enter your address during checkout, and we'll deduct 25% danish VAT included in the prices shown, when processing the order. Package with 10pcs individually retail packed Infinity USB Unlimited. The Infinity USB Unlimited supports phoenix-based cards over USB. It has two smartcard connectors (regular and SIM/GSM), a fullspeed USB 2.0 interface and a very powerful firmware-upgradable CPU ensures that this programmer has no limitations. 25-April-2019: In stock for immediate delivery! 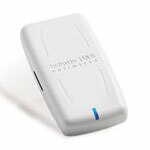 Package with 20pcs individually retail packed Infinity USB Smart. 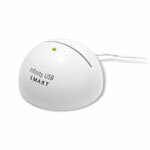 The brand new Infinity USB Smart is low on cost yet rich in features. Based on a driverless USB connection, it creates a virtual COMport on the PC, or a Linux based host like a DreamBox/STB, enabling a generic Smartmouse / Phoenix interface, with support for all common clockrates. 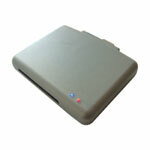 An advanced smartcard programmer that directly supports all popular PIC-based and AVR-based (Fun) cards. The hardware based phoenix interface makes it compatible with most third party phoenix software. This combination makes it a very powerful hybrid programmer with great compatibility.